Put this on your bathroom door and everyone at your Halloween party will never go near your bathroom again. 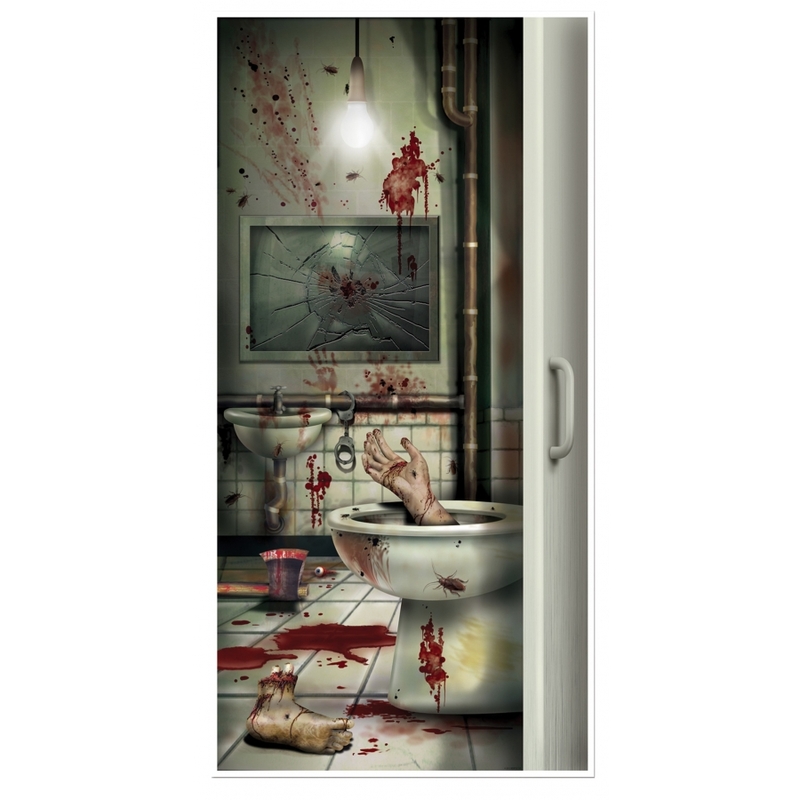 Door cover shows blood spattered bathroom with hand coming out of the toilet and severed foot on floor. 30 X 60 inch polyethylene sheet covers most standard sized doors. For indoor or outdoor use. Attach to the door as you desire. Photo print only on one side. Includes door cover only.